We had several reasons to be excited as we crossed the U.S border into Idaho, although the weather gods weren’t as enthusiastic. We hunkered down overnight at a small RV park 4 miles from the border until the heavy rain passed. 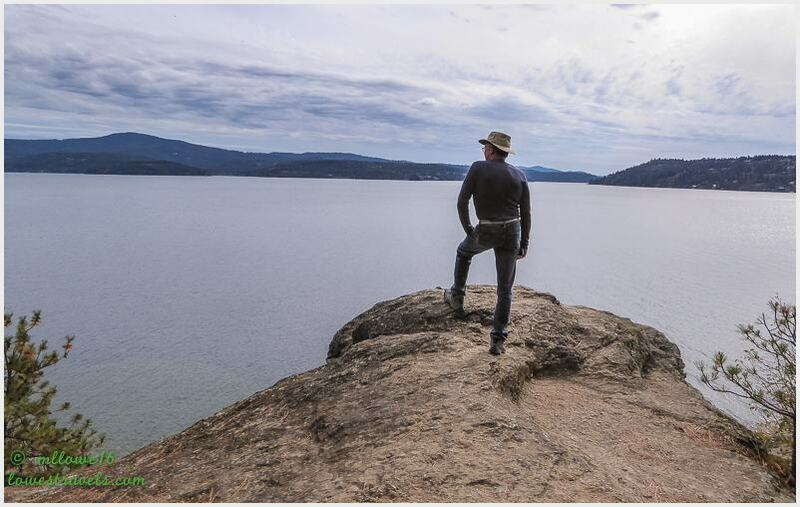 The following day we ventured on to our next destination at Coeur d’Alene, where we took a break to do some chores and re-stock the cupboards. First we shook the grit and grime we had carried from Canada off Betsy, giving her a good wash. We also had to replace the rice that had been confiscated at the border, as we were informed since it was no longer in its original packaging they could not determine if it had come from a prohibited country. I guess we should have known that after 25 border crossings! Finally we were ready to celebrate a milestone. 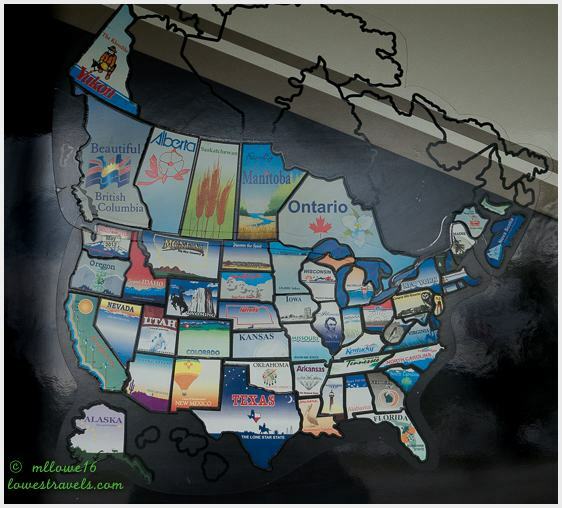 Idaho capped our goal of visiting all of the 49 states, and our USA map is finally covered! Yes, after over four and a half years of running around the country we have accomplished one of our main retirement goals. It was quite a ride, and in doing so we also visited 8 picturesque Canadian Provinces; British Columbia, Alberta, Saskatchewan, Manitoba, Ontario, New Brunswick, Prince Edward Island and Nova Scotia), plus 1 Canadian Territory, the Yukon. An unexpected bonus was our foray into Sonora, Mexico when we joined a caravan to Puerto Penasco in February. We’ll post highlights and statistics covering our entire adventure once we arrive back at our starting point in northern California. At that time we’ll consider our RV adventure completed and figure out what to do next. We’ll continue fulltime RV’ing, of course, but probably in a more “traditional” and spontaneous way without the need to visit particular states. We don’t know yet, and that’s the fun of it! For now we’re elated, excited and happy that our main goal has been reached with no major problems. 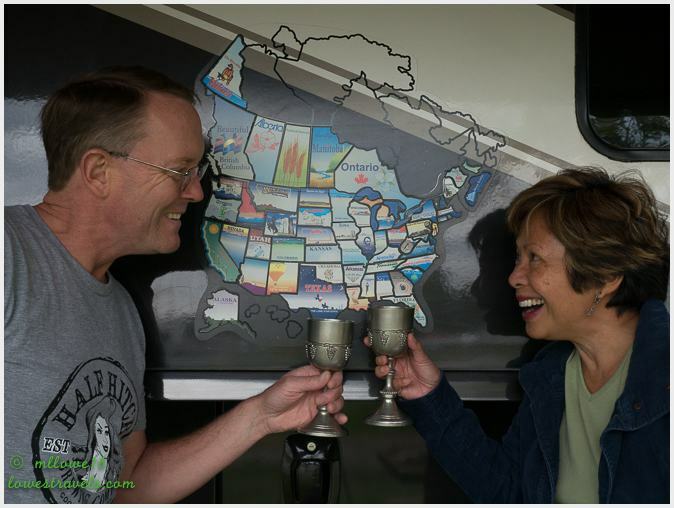 Cheers to the Lowe’s RV Adventures! Sparkling Coeur d’Alene Lake was the backdrop for another celebration, our 11th wedding anniversary. Living in Betsy’s close quarters 24/7 for the past several years was an accomplishment of its own, and we’re very happy that we’re still the best of friends, with only a few lover’s spats thrown in to make it interesting. We had a beerlicious anniversary, as the city’s annual Oktoberfest happened to be scheduled for that very day. Along with hundreds of others, we partied and strolled the streets to sample several craft beers. Strangely, no streets were closed for the event, and most of the beers were dispensed from within local shops. It was definitely nothing like the major party that shut down Brekenridge for their celebration last year. 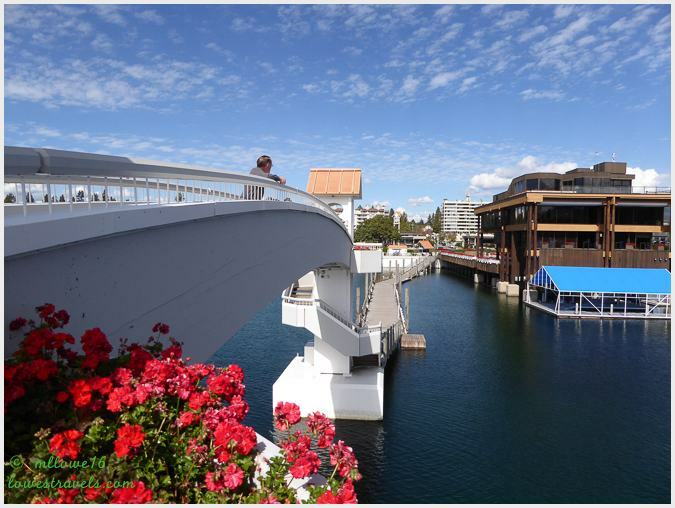 We strolled through town and stumbled onto what is called the “world’s longest floating boardwalk” by folks hereabouts. Completed in 1985, it’s 3,300′ long and 12′ wide. We thought it was pretty cool walking on the lake over the 16,000 cedar logs it took to build the thing. 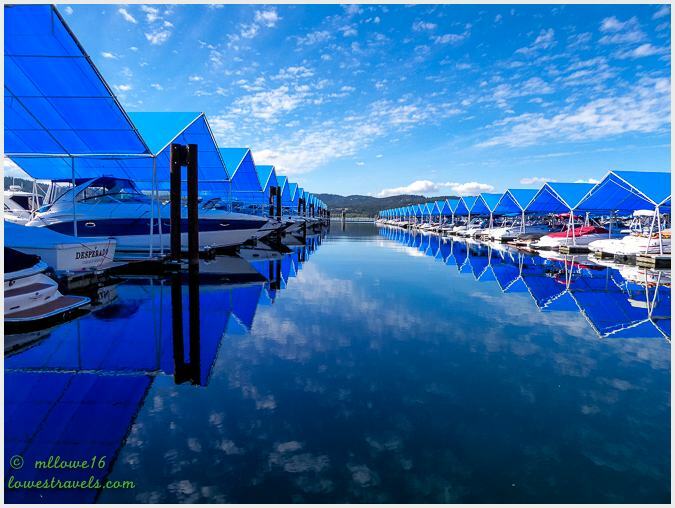 Slip Marina – Steve loves all the blue in this shot! 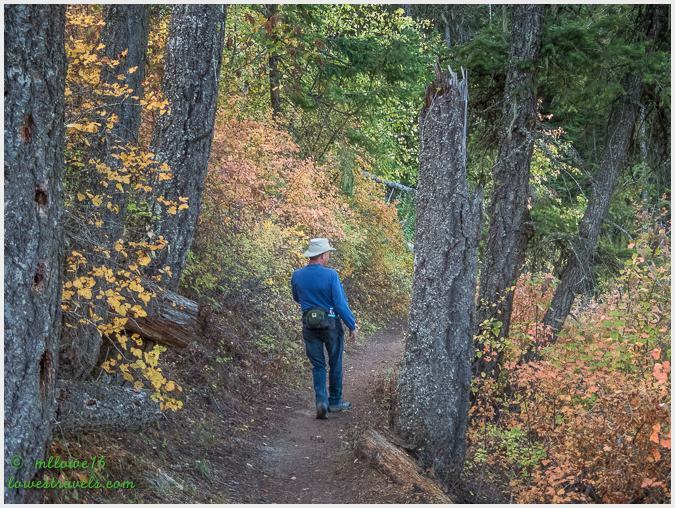 We also took on the Tubbs Hill and Mineral Ridge trails, recommended by Andy who sent me a message thru RVillage. 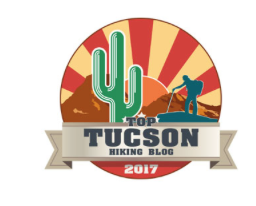 It was a nice surprise to get recommendations from strangers who know the area through this site. The last celebration was Steve joining the smartphone crowd after holding off for several years. I just hope he won’t be playing Pokémon Go during our hikes! Monitoring our hike and elevation with his new toy. I’d better be nice – I’m getting mine soon! Cheers to our milestones celebrations! Congratulations on achieving your goal … and also on your anniversary (I know this is late, but I am once again behind on blog reading and trying to catch up). Living in such close quarters is a true test of a marriage … done good. Congratulations! In 8 years we haven’t made it to half the places you guys have. Hope to see you somewhere in the southwest this winter! Thank you Laurel,I do enjoy sharing all our travels and I do not know what to do once we exit. I am also excited to meet up with you and Eric, its been a long time! Congratulations on meeting your goal of visiting all the states. 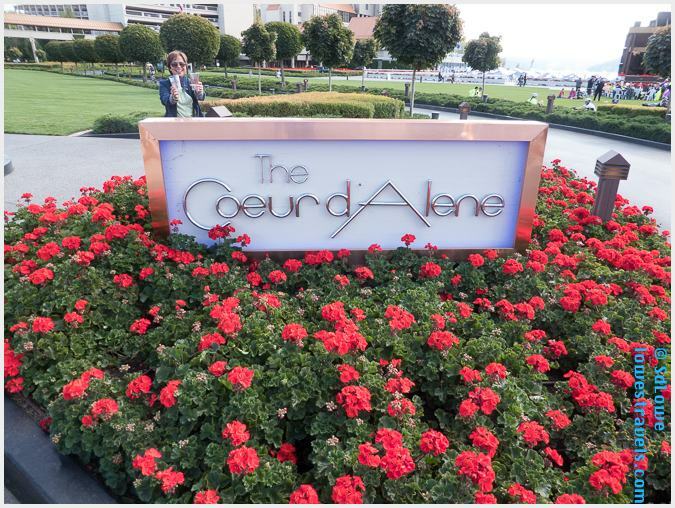 And big congratulations on your 11th anniversary…here’s to many more! Congratulations all around. What a wonderful accomplishment and it’ll be fun watching you guys as you travel around without a serious goal to complete. Thank You Laura. Well it took us a year to really get to know Betsy, and yes we have had the same issues that you are facing now. We called it our adjustment period with Betsy and we warned her if she does not behave we will ditch her. As for you, things will get better down the road. Happy Anniversary, Steve and MonaLiza!! Wishing you many more wonderful adventurous years:) Congratulations on completing your map! Oh, dear, you will both have smart phones…wahoo!! Thank you Pam. Now we can travel willy nilly within the west wherever the warm weather will beacon us. Steve is amazed with his new toy. Congratulations! The is a huge milestone! 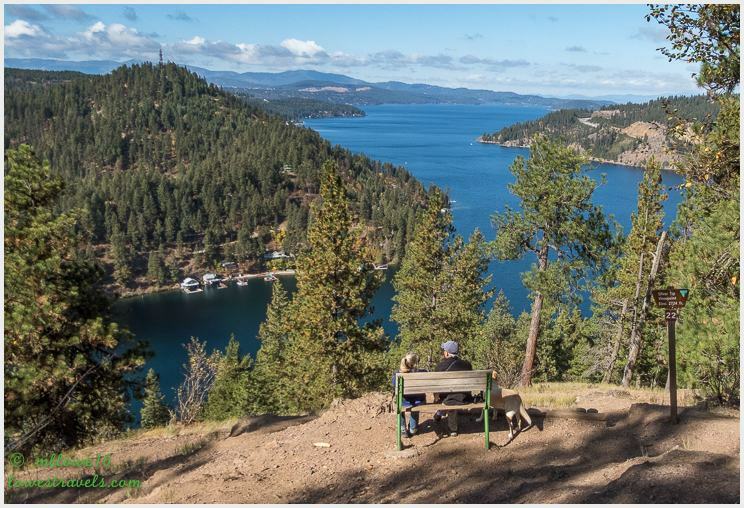 We were too much in a hurry to see our daughter and flew through Coeur d’Alene. Hope one day we can get back to that area. Love the definition of hobo, a tramp and a bum. Does make a lot of sense. Thank you Marsha. 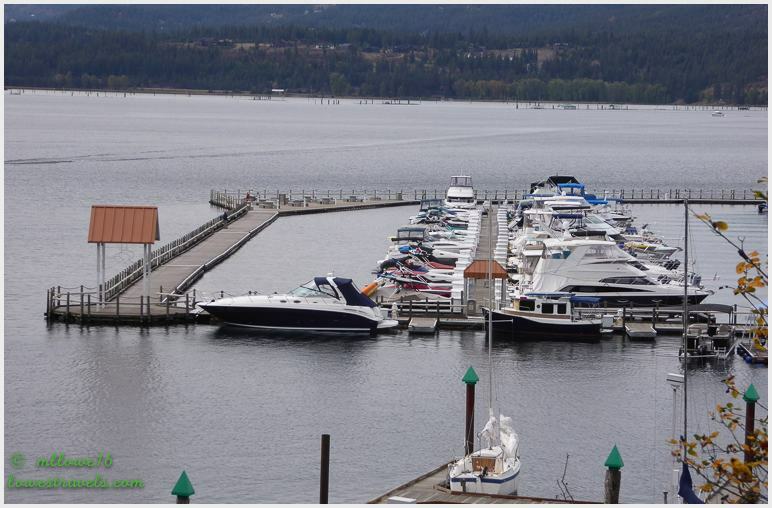 Coeur d alene is a lovely place, not too touristy. Woohoo, 49 states! AND all those provinces…you guys rock! Yeah! our travels now will be less structured. CONGRATULATIONS! Those are two great accomplishments. Love your toasting cups. Don’t know how you manage to be in places where you can wash the RV. Poor Winnona is always carrying around grime because the parks won’t let us wash her and we can’t find a car wash big enough. 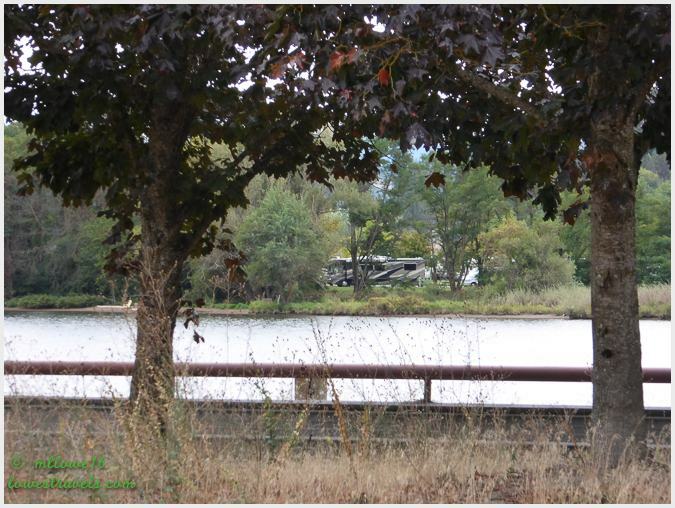 Love the floating boardwalk and what looked like your site right on the river until I read Steve’s review. 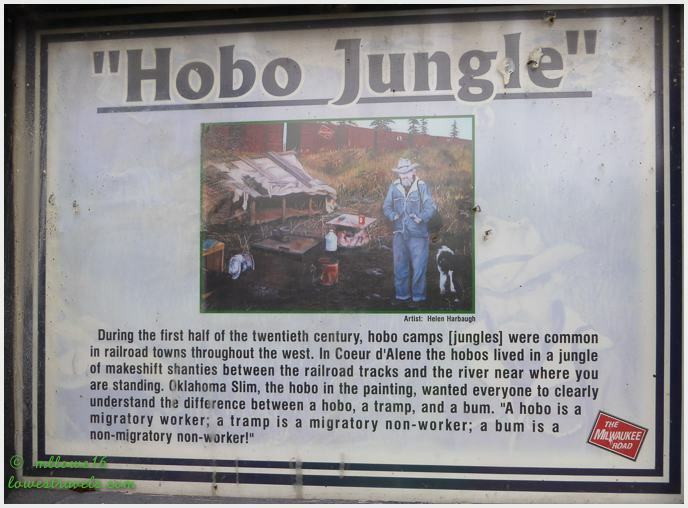 Who knew about hobos, tramps and bums. You are really furthering my education. Great photo of the lake from your bench rather than Canadian chairs. Hope you will all let us know what apps you like on your phones and what you got. 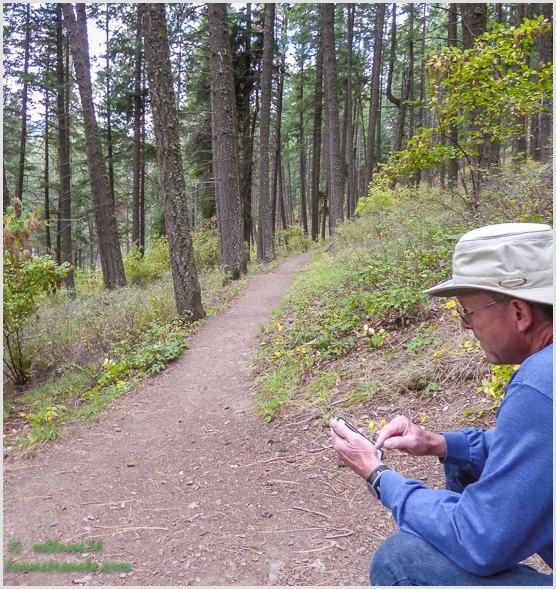 Hiking apps? Iphones or droids? Thank you Sherry. Its been a great ride and we are still excited to travel with at least less structure this time. Steve is amaze with his new toy. Congratulations! Happy to hear that you’ve reached the 49/11 milestones in good health and with happy hearts. Thank you Carol, and I agree with you we achieved it in good health and happy hearts.